We old school gamers were excited last month when Nintendo announced that they were going to be releasing the NES Classic Edition, a retro console preloaded with 30 games from our childhoods. Because of the buzz that this created, it was inevitable that the other console/game maker of the pre-Xbox/PlayStation era would release their own version. Despite the hype and rumors, Sega has yet to make an official announcement in regards to a release of their own (there’s been many articles on the internet about a possible console, but it has been proven that those are knock-off Chinese bootlegs and not the real thing). We here at PCU thought it over and came up with a brief list of games that we would love to see on a preloaded Genesis, should Sega decide to take up the challenge. Altered Beast – Nintendo came packed with Super Mario Brothers, my Genesis came packed with this awesome game. You play a dead centurion that’s been brought back to life by Zeus and charged with entering the Underworld and rescuing Athena from the clutches of the evil Neff. Setting it apart from the other side-scrollers of the time was the centurion’s ability to transform into different were-forms. I loved the game and if I ever hear “RISE FROM YOUR GRAVE!” it’s the first thing to come to mind. Golden Axe – Yet another fun side-scroller, Golden Axe was one of those games that ate my quarters at the arcade on the regular. When I saw that it was available on the Genesis, I immediately snatched it up and convinced my parents to buy it for me. My main selling point was that it was a two player game, which meant that my little brother could pay with me…SUCKERS! Afterburner II – Coming up in the 80s, Top Gun was one of those movies that nearly influenced me into what I wanted to do when I grew up: fly a Tomcat. My dreams were dashed by my being damn near legally blind without my glasses, but I could always jump into one of those cool cockpit-like Afterburner arcade games and live out my fantasy. I was also able to live the fantasy out in the comfort of my home by playing TOP GUN on my NES and later on, Afterburner II on my Genesis. Revenge of Shinobi – I’ve always been a big fan of ninjas and Ninja Gaiden was one of my favorites on the NES. Revenge of Shinobi was the equivalent for Genesis. Toejam & Earl – T&E was another one of those games that I could play with my little brother and not be in danger of starting World War III. We rented it enough from Blockbuster that it might have made more sense to just buy the darn game! The game was funky and fun to play and had a pretty enjoyable soundtrack. There were some joyful times to own a Sega Genesis in the 90s. Games looked that much better on the system than they did on the NES 16 bit and we were getting a whole slew of great 3rd party titles. So, if Sega was to follow suit and release a ‘mini Genesis’ what would I like to see? Here are a few choice games. Madden 95- I lost so many hours in undergrad with this game. This game was a huge step up from its predecessors. It was the first to use team logos and names as well as no passing windows. This was probably one of the best Madden iterations right up until Madden 2004. 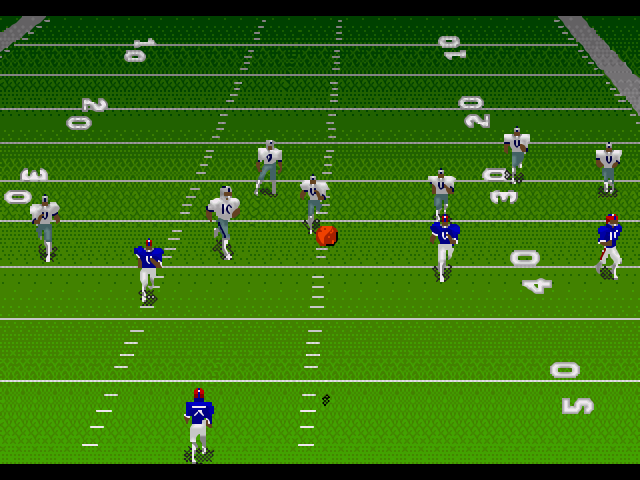 Jerry Glanville’s Pigskin Footbrawl – This was a good niche arcade port of the game under the same name. It was football’s (and rugby’s) answer to the Arch Rivals game, both licensed by Midway. Pigskin was over the top fun only shadowed by Mutant League Football. I mean, what game allowed you to kill opponents and take on trolls? Mortal Kombat II and III – This was the reason to own a gaming system in the 90s. This and Street Fighter II lead the charge in the fighting game craze of the decade. Both II and III were near arcade perfect and I enjoyed both immensely. Streets of Rage – This was one of the best side scroller beat ’em ups to not have an arcade game. This is essentially Golden Axe for the streets. 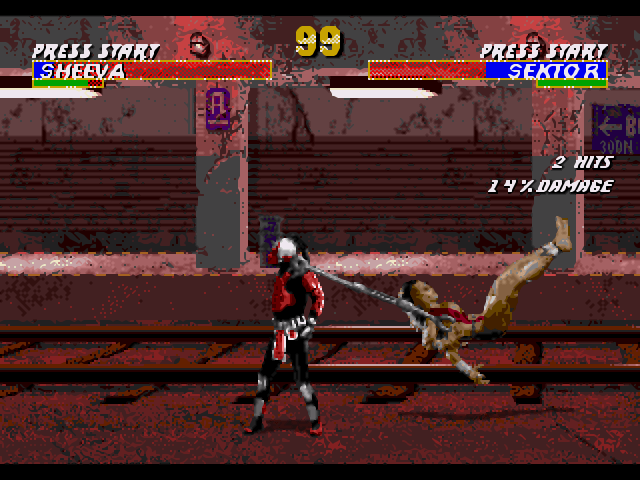 It featured 3 different characters with 3 different fighting styles, a few cool combos and special abilities. This was one of my favorite co-op games in the 90s. 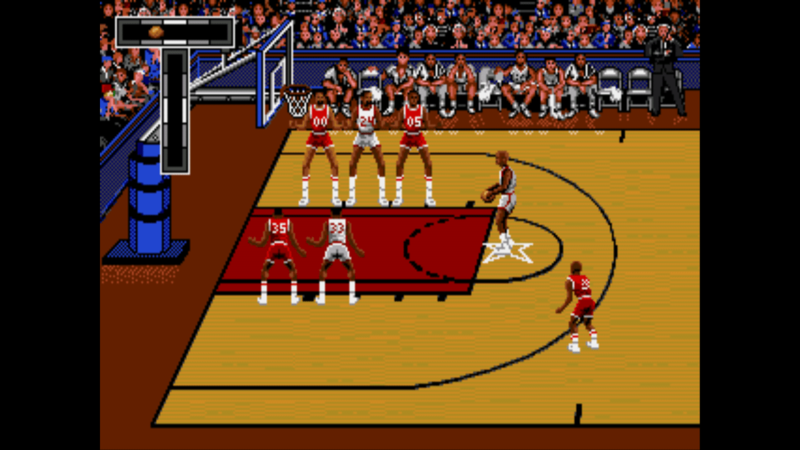 Bulls vs Blazers – What many people don’t realize is that Sega Genesis gave birth to the NBA Live series. This and Lakers vs Celtics were the first games that allowed you to play with nearly authentic NBA teams and signature moves. 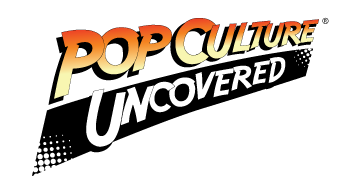 Honorable mentions: Altered Beast, World Series Baseball and Golden Axe. 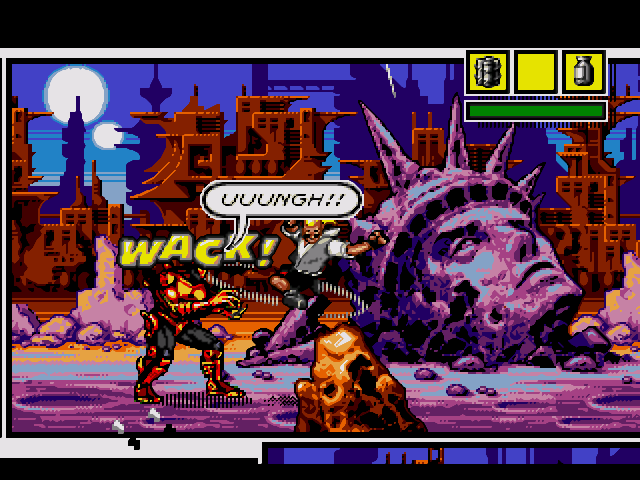 Comix Zone – When this was released for the Genesis, I was really big into reading all kinds of comic books, and trying to draw different comic superheroes. The art style & gameplay were just what a little comic nerd could want, and I’d love to see it re-released. Earthworm Jim – Who didn’t like Earthworm Jim? In my opinion, this was way ahead of its time. The stylized graphics and the tongue-in-cheek humor to the gameplay were always a good time. Underpants & snot jokes will always bring out my inner 12 year-old. Double Dragon – Ahh, the classic Double Dragon. This was purely a nostalgic choice for me. Since the offshoots & sequels to the original weren’t the best, this one will always hold a special place in my heart. It was also the first game that I can remember playing co-op with my little brother. Man did we ever get mad at each other over this! All in good fun, though. Art of Fighting – I remember being pretty excited to buy this game. At the time, the market was pretty saturated with Street Fighter, so this was a good break from those characters for me. The faster pace of the gameplay was a bit of a shock at first, but it quickly became second nature for me. 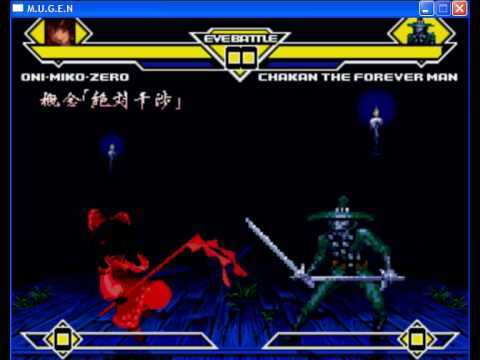 Chakan: The Forever Man – I don’t know why this game isn’t more widely remembered. I loved the spooky aspect of it! I suppose this was one of my first forays into what would become a lifelong love for the dark & macabre. Aside from the varying styles that were factored into the game, Chakan was fun to play, simply for the fact that it was unusually difficult (for the time), but wasn’t so difficult that it frustrated me into rage-quitting. What games would you like to have on a pre-loaded Sega Genesis? Let us know!